This collection of 15 family-friendly recipes focuses on simple recipes to make with humble ground (mince) beef! These quick dinner recipes are for busy parents, use authentic ingredients, and are quick, easy and ridiculously tasty. Featuring every-day ingredients you will likely already have in your fridge or pantry! 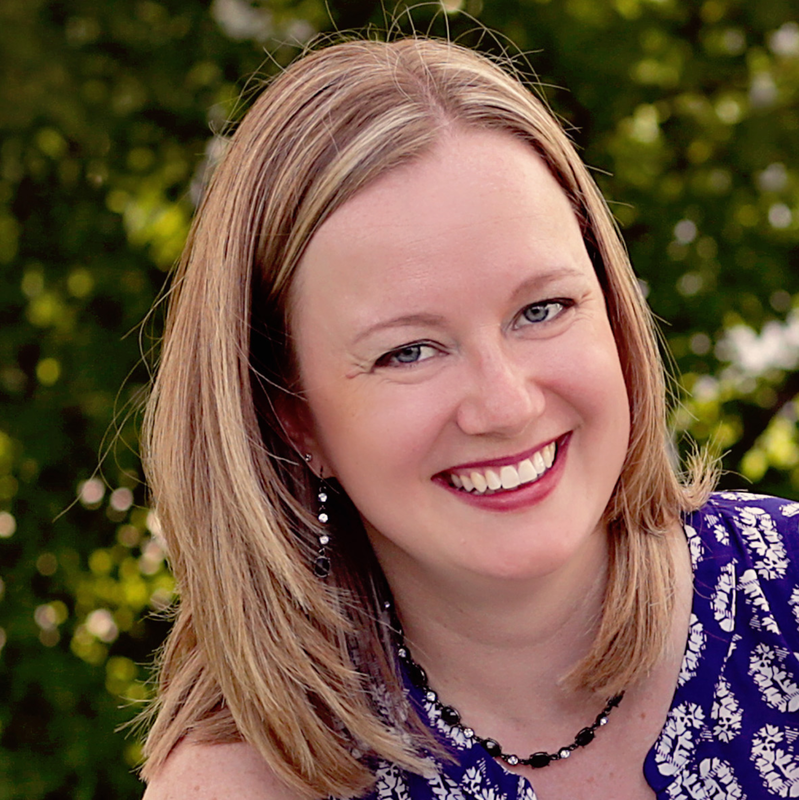 As many of my readers know, I grew up on farm in Southern Ontario. I think from the early days on the farm, we always had at least a few beef cattle as part of the farming operation. But it wasn't until I was in grade school, when I tuned 8 years old, that beef became the primary source of my family's income. It was during that same time that the free trade agreement was negotiated & put into effect between the United States and Mexico, that Canada lost many of it's factory jobs (as they moved south to decrease costs), and my father saw his primary source of employment disappear, and he became an full-time farmer. So, perhaps the apple doesn't fall too far from the tree when almost 30 years later I lost my job due to taking a maternity leave, and decided to take up recipe development as more than a hobby. But, I digress. I can still clearly remember many of the beef cattle we had over the years. Some breeds were more temperamental than others (and for an 8 year old, some cattle were downright were scary), and others were more mellow and friendly (which are the breeds my family still has on the homestead to this day). I also remember the annual tradition of taking some of our cattle herd to the local butcher at the end of each summer, and getting our freezer filled with steaks, ribs, ground beef, and so on. I was reminded of this recently since the next generation of my family is now doing exactly this process for chickens and lambs. (By the way - my freezer is full, and you should expect some recipes soon for enjoying lamb and roasted chicken!) I also was talking with a friend recently who told me she had just filled her freezer with beef (much of it ground) from some beef she got from her in-laws' ranch. She asked me if I could please give her some inspiration beyond basic burgers, at which point I excitedly accepted the challenge! And truthfully, I think I've only shared one ground beef recipe so far to-date, which was our beloved Deep Dish Lasagna Casserole in the How to Make Your Own Freezer Meals: Part 1 post, and is one of our go-to meals that can also be doubled and act as a freezer meal. Without a question, beef is a staple in our home. I decided that for this post I would share my family's favourite beef recipes with readers. If you're wondering what to make for dinner with ground beef, or are simply looking for some excellent ground beef recipes, you've come to the right place! 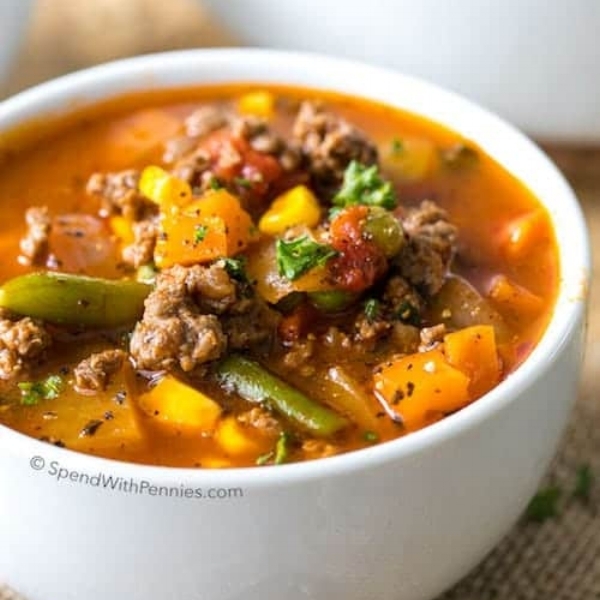 I won't promote recipes that my family hasn't already enjoyed, so you're in for a treat with this awesome round-up of easy meals to make with ground beef! These are tested and well loved recipes we know you will be using on a regular basis. 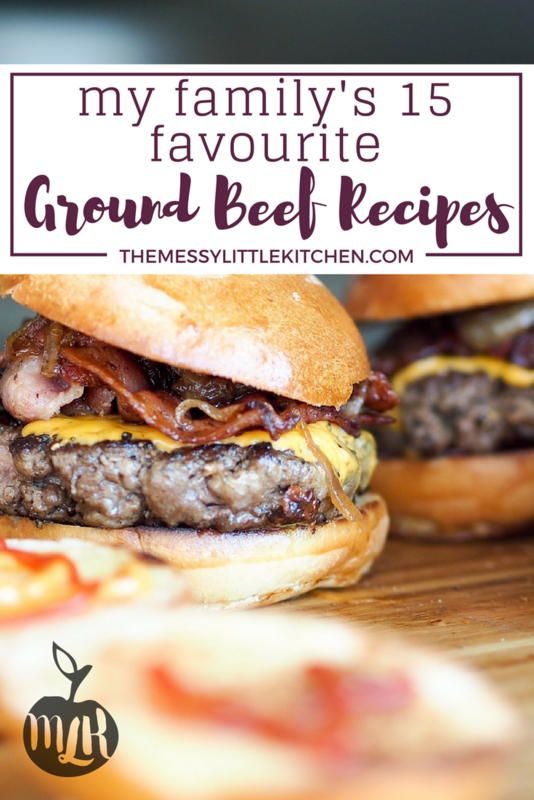 What are your favourite ground beef recipes? We're always open to more recipe inspiration! Comment below and let me know! I'd also love to hear if you tried and loved any of the above recipes as much as we do!